Prior to European settlement the Mitta Valley was home to the Yaitmathang people for at least 20 000 years who lived in the lower valleys and floodplains in winter and moved to the higher alpine areas around Mt Bogong in summer along with surrounding tribes to feast on the protein rich moths that come from the hot southern Queensland plains in search of cool crevices on the mountain. These summer periods were important cultural events when social and economic exchanges took place. The first Europeans to the area were the explorers Hume and Hovell in 1824 and the name Mitta Mitta derives from the name local aboriginals gave to the Mitta Mitta River – “mida-modunga’ (where reeds grow). Early pastoralists entered the valley around 1835 and by 1837 James & William Wyse had taken up Mitta Station that was centred on what is currently the Mitta township. William Wyse was also the original prospector to search for gold in the Dark (Dart) River area. Conflict between the Yaitmathang people and the early settlers led to the eventual displacement of the aboriginal people from the area. Over the next 180 years grazing, gold mining, forestry, cropping and dairying were to play significant roles in the development of the Valley. Much of the upper Mitta Valley has been shaped by the discovery of gold in 1851 and from then on the population increased as discoveries were made at Mitta Mitta, the Wombat, Granite Flat and Dark River. The early mining activities were alluvial but in 1884 the Union Gold Sluicing Company was formed and it began Open Cut operations. Large scale mining continued to 1913 when operations ceased. After the initial wave of pastoralism other agricultural activities emerged. Mixed farms, cropping and small scale dairying supported a large number of people and during the mining boom there would have been a strong demand for agricultural produce. Towards the end of the gold period dairying became more important and it continues to be an important activity in the Valley. These days beef cattle enterprises are another important sector and alternative enterprises such as Hazelnuts and Hops have emerged in recent years. Today the population of many of the previously thriving communities such as Tallandoon, Fernvale and Granite Flat have shrunk as times of changed. Eskdale developed during the mining era as the Mitta Valley’s first town. It was officially surveyed in 1887 by G H Lavery. The town was named by James Aitken who came from Esk in Scotland. James Ferguson opened the first licensed premises in 1894. Cattle farming expanded as mining declined during the 1880’s and 1890s and dairy farming also grew. 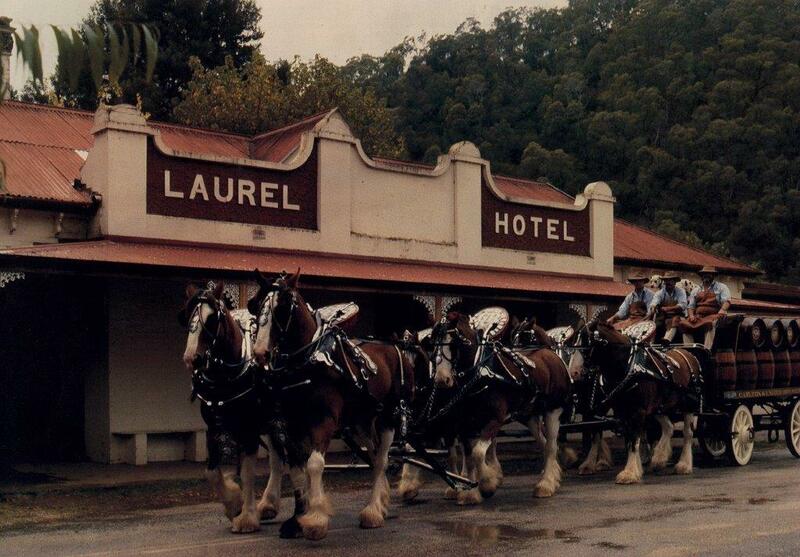 The Eskdale Butter Factory opened in 1904, closing after the merge with Murray Goulburn in 1969. All of the Valley’s milk is still transported to Murray Goulburn plants for processing. In 1976 Lockharts Gap Road was upgraded to service the construction of the Dartmouth Dam and provided much better access to the west from the Valley. In 1977 Eskdale Primary School was relocated to its present site and in 2010 underwent major upgrade. The Eskdale Swimming Pool was built in the early 1980s to provide a safe swimming environment after releases from the newly constructed Dartmouth Dam made swimming in the river hazardous. Power was connected to Eskdale in 1961 and town water was officially connected in 2010. Cattle farmers arrived in the area from 1835 and took up the fertile land in the valleys and surrounding bush. Mitta Mitta was developed as a mining town in the latter half of the 1800s with the discovery of gold. The township received a police station in 1859 and in 1870 the first post office was opened. Power was not connected in Mitta Mitta until 1964. The Mitta Mitta township was once a busy and thriving community. The mill industry and a number of government department depots supported many employment opportunities within the town. Most of these jobs are long gone from the Valley. The township of Dartmouth was initially built to house and support workers and their families throughout the construction of the Dartmouth Dam. Land was purchased from the Scales family to build the township that developed into a bustling community almost overnight. During the 1970s the town had a population of over 2000 people, and at the town’s peak the local school had 186 students and 6 teachers. However, once the dam was complete, the township once again changed overnight. Families left, and at its lowest the population dropped to 42 people. The town subsequently went through the unique phase of being privately owned and facilities and accommodation were developed with an emphasis placed on tourism. When the township was again placed for sale, private investors began to purchase houses and businesses, and weekend and holiday trade began to sustain the community. The town is also the location of a Goulburn-Murray Water office.